Johnny Wimbrey . . . ​incredible rags-to-riches story touches a chord in audiences from cultures from around the globe. Johnny Wimbrey’s famous mantra “Say Increase!” can be heard on almost every continent around the world. When Johnny rolls up his sleeves and delivers straight-talk to audiences from Africa to Australia, India to Italy, Sweden to Spain, they respond with energetic enthusiasm. His blunt honesty motivates people to stop thinking and start doing. wealth and opportunity. When he had nothing but dreams, he created a unique high-energy style that is as sought-after as an international currency. 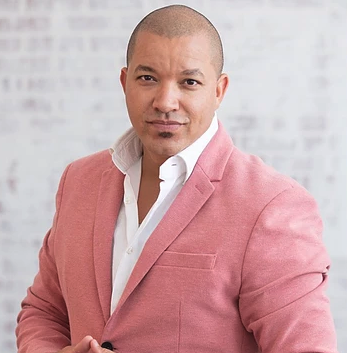 As an internationally-acclaimed talk show host, #1 best-selling author, and motivational speaker, Johnny Wimbrey’s charismatic nature inspires everyone from inner-city youth to corporate moguls and celebrities. His past is a fascinating one that he left behind to live to tell the story about it today. Because he has literally been there and done that, people feel the connection to him that they have never felt to any other public personality. He inspires his listeners who dare to take the “Journey to Wealth” with him, no matter what their background, race or religion. Johnny has proven to be a dynamic author, writing a best-selling book, From the Hood to Doing Good, and co-authoring several volumes of Multiple Streams of Inspiration and Conversations on Success. Johnny also anchors Think and Win Big, a powerful DVD collection offering mental strategies and wisdom for success. A native Texan, Johnny and his wife and life-long companion Crystal, are blessed with three children and reside in a suburb of Dallas, TX.